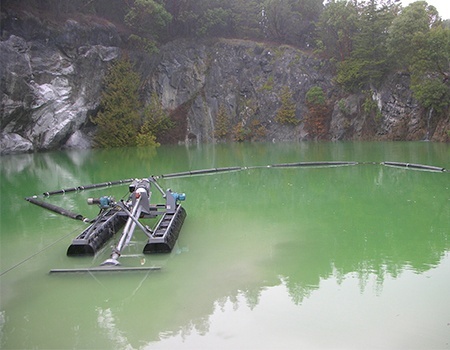 The FLUMP (floating lagoon pumper) solves an industrial and municipal environmental problem in a low-cost, efficient manner. The FLUMP removes settled wastes and other by-products from settling ponds or lagoons, built to prevent wastes from leaching into the water-table. Built tough to ensure dependable service in harsh environments, Crisafulli FLUMPs are simple to operate, and easy to transport. Crisafulli’s specialists have solved liquid waste problems for more than thirty years. Call us for standard applications -- or when no standard product will solve your problem. We will work with you to produce a Crisafulli Sludge Removal System that meets the specific requirements of your application. 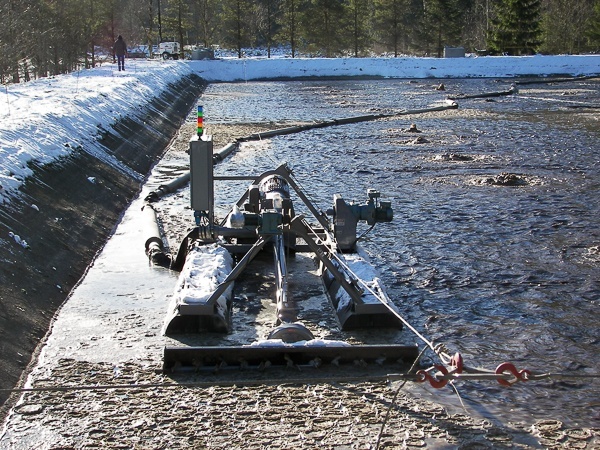 Use the FLUMP to clean your pond or lagoon of sludge, sediment, biosolids or residuals. The FLUMP enables you to dramatically cut your sludge management costs. Owning a FLUMP puts you in control of your dredging schedule. 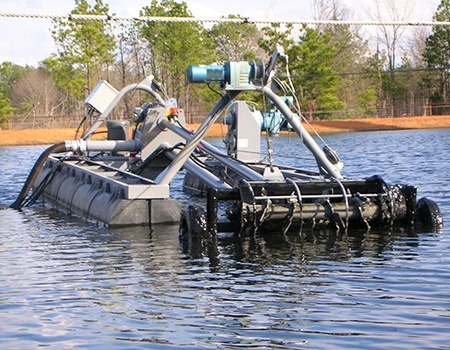 Our traverse system allows a single operator to change the dredges pond position in under twenty minutes. "We would like to thank you for your wonderful FLUMP. 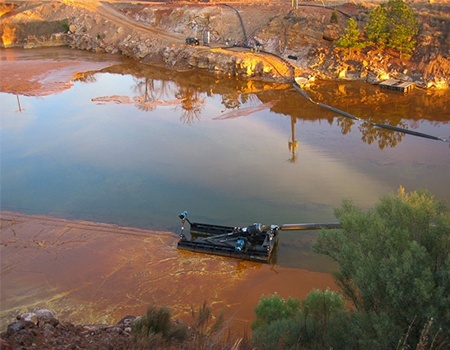 We have been dealing with our wet sludge lagoon for many years and have not always been totally successful. We found your system to be of excellent design and robust construction. The control system is direct and easy to understand." More than 175 municipal, federal, industrial, agricultural, and contractor customers in 42 states across America and 13 other countries own more than 206 Crisafulli FLUMPs. Several customers own two or more FLUMPs. In 2015, Crisafulli introduced its diesel powered FLUMP, the RDF-75, built with either a lightweight aluminum hull, or a steel hull.